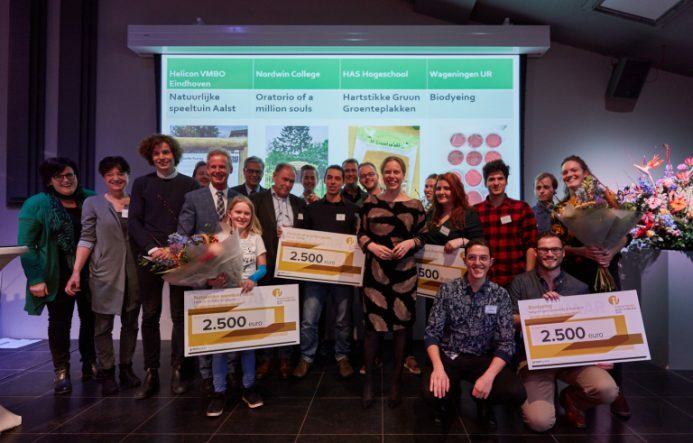 The ArtEZ-WUR collaborative project (ACT project) Biodyeing has won the Green Education Impact Award in the WUR category (Wageningen University & Research). The prize was awarded during the Groenpact Manifestation on Wednesday, January 16. Minister Carola Schouten (LNV) pointed out that she really liked how different disciplines work together. Biodyeing is an innovative research project into bacteria that grow on substances and thus color the substance in a natural way. This way, toxic waste products can be reduced in the clothing industry. It is a collaborative project between ArtEZ Center of Expertise Future Makers and Wageningen University & Research (WUR) and is part of the project The Future of Living Materials. The research assignment was developed in collaboration with the designers Laura Luchtman and Ilfa Siebenhaar of Living Colour. Groenpact is a platform for collaboration, knowledge sharing and acceleration. In this platform, a foundation was build for strengthening cooperation between businesses, green educational institutions (VMBO through WUR) and the government. 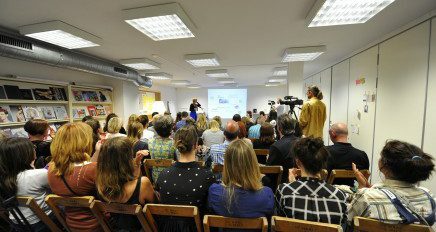 Various projects were realized of which the results were shown at this event. The video below shows the various projects (Biodying from 7’10).